Japan has one of the world’s lowest homicide rates, making the attack at a center for disabled adults deeply shocking. Tuesday morning, a 26-year-old man went on a killing spree at a center for disabled people in Sagamihara. Satoshi Uematsu killed 19 people and injured 26 more at the center where he had worked until February. 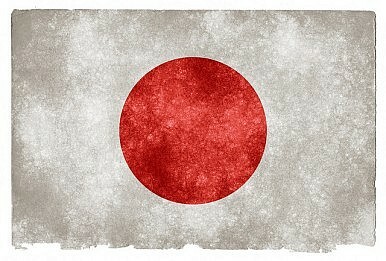 The horrific crime is the worst mass murder in Japan since World War II. The letter also said he felt “sorry” for people with disabilities, many of whom were bound to wheelchairs for life. He further wrote that many of them had no contact with their family members. After the letter incident, Uematsu was questioned by police and then hospitalized until March. It appears that the details reported from the letter match Uematsu’s crime. In the letter he said he’d attack the center at night, tie up staff, and then turn himself in. Many issues have been raised in the wake of such a shocking crime. Japan, where the murder rate is among the lowest in the world, is not often the site of such mass killings. Many note that mass killings are rare in Japan in part because guns are not easily available. Japan’s homicide rate is 0.3 per 100,000 people, according to OECD data. In contrast, here are 5.2 homicides per 100,000 people in the United States. In Japan, those rare few mass killings that do happen are typically knife attacks. On June 8, 2008, Tomohiro Kato went on a stabbing spree at a Tokyo shopping center, killing seven. He said he was “tired of life.” Exactly seven years before, on June 8, 2001, Mamoru Takuma killed eight children at the primary school where he’d previously been a janitor. What these incidents have in common (and indeed, what they have in common with many mass killings around the world) is a disaffected and often mentally destabilized man, warning signs either overlooked or dismissed, and in the end a barbaric crime. Some have pointed to societal factors limiting mass killings in Japan, and likewise at the breakdown of previous societal norms as a factor when such events do occur. A communal culture with emphasis on honor and avoiding shame, as Nevin Thompson noted for Quartz, may factor into the low crime and murder rates in Japan. What happens next very well may follow precedent. Takuma was hanged in 2004 and Kato’s death sentence was upheld last year. Japan’s Belt and Road Balancing ActIs Japan Anti-China?Japan’s New Imperial Era: What’s in a Name?South Korea and Japan: Where to From Here?Does Japan's New Climate Change Strategy Go Far Enough?